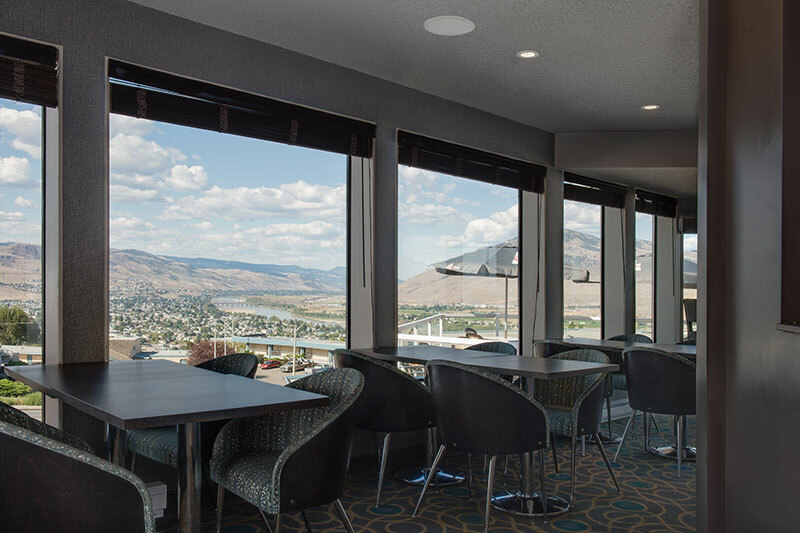 Host your next social or professional function at Ramada Inn Kamloops to take advantage of stunning Okanagan views, excellent catering services and cost-saving accommodation packages. Take a look at our venue spaces in our photo gallery, and use our easy online submission form to reserve one of our event spaces today.Alternatively, please contact our sales manager by phone at 250-374-0358 or by email for more information about our venues, services and rates. From elegant weddings to professional business meetings, all our versatile event spaces feature natural light and can transform into your perfect venue. Find the best fit for your upcoming event and fill out an Request For Proposal online to begin the booking process. 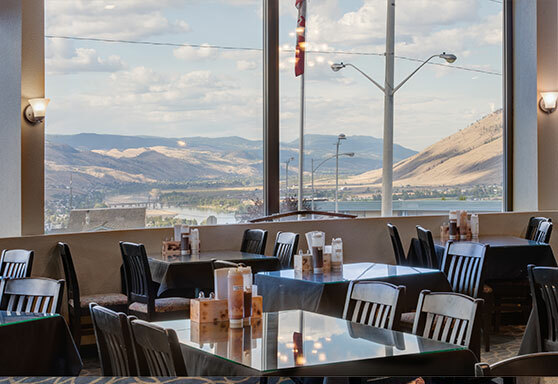 The Columbia Room serves as a gorgeous backdrop for your large social or business event. Accommodating up to 100 people, this versatile room offers several lay-out options; this room is one of Kamloops’ popular wedding venues with a traditional set up of 10 round tables of 10 and a large head table. This space also features a spacious dance floor and large windows. 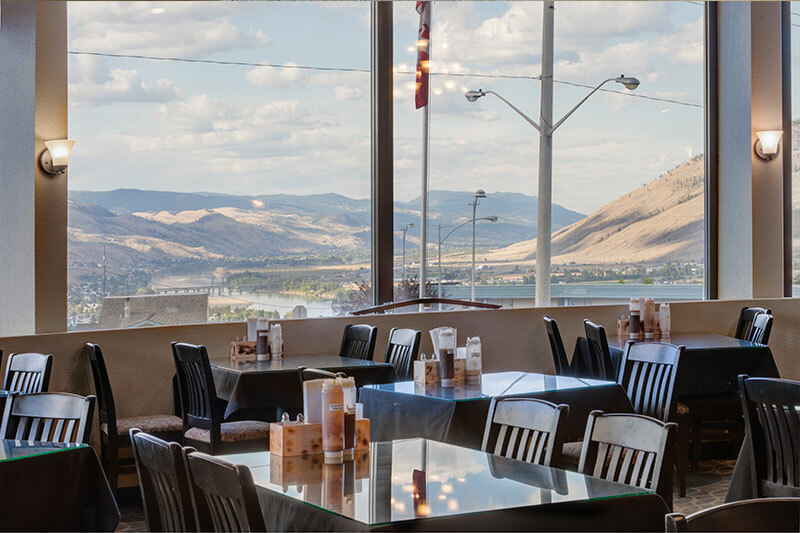 Our fabulous onsite restaurant is the perfect place to host a social reception or corporate gathering, with amazing views and bright atmosphere. 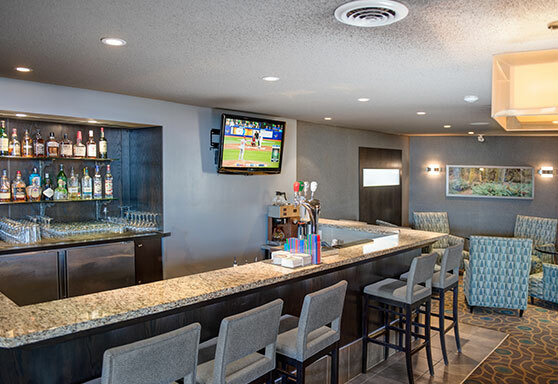 The space accommodates up to 150 people, reception-style. A stylish option for small to mid-size social or business functions, the Rooftop Lounge on the third floor offers great views and the option of an onsite outdoor BBQ to dish up some great fare for your guests. This professional boardroom accommodates up to 12 people, with comfortable high-back, executive-style, leather conference chairs and a complimentary white board and easel. Projectors, flip charts, TVs and additional screens are available for a small fee. 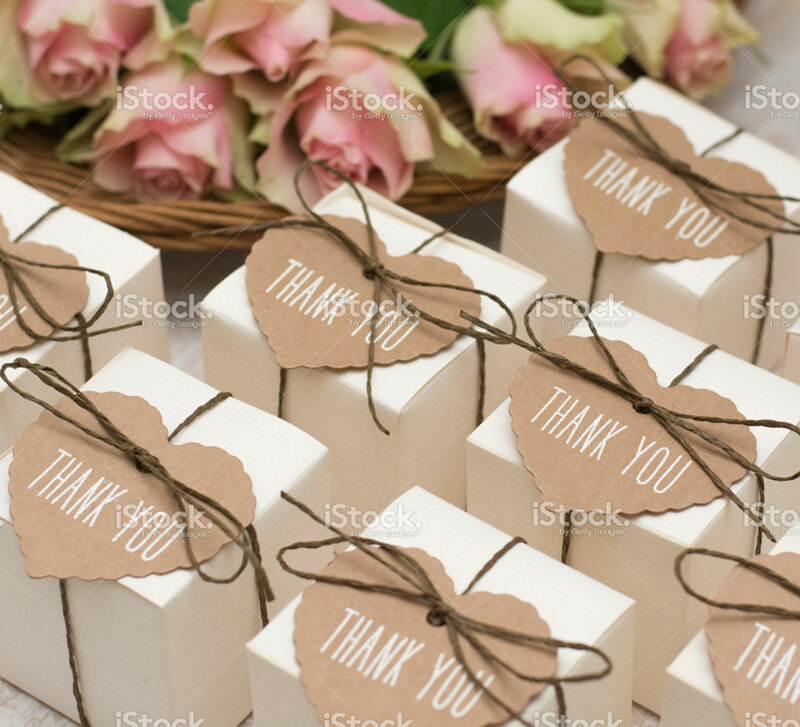 On your big day, let us take care of the details so you can revel in the limelight with the love of your life. 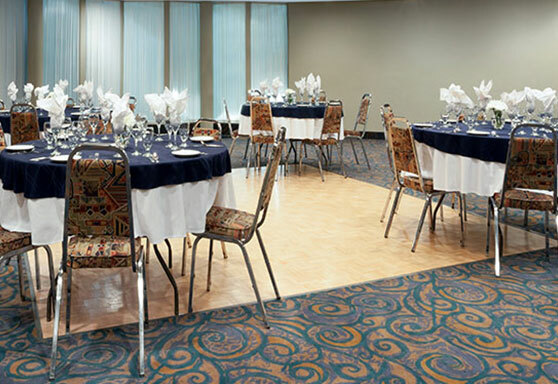 The Columbia Room is easily accessible from the hotel lobby and can accommodate up to 100 people and a spacious dance floor. 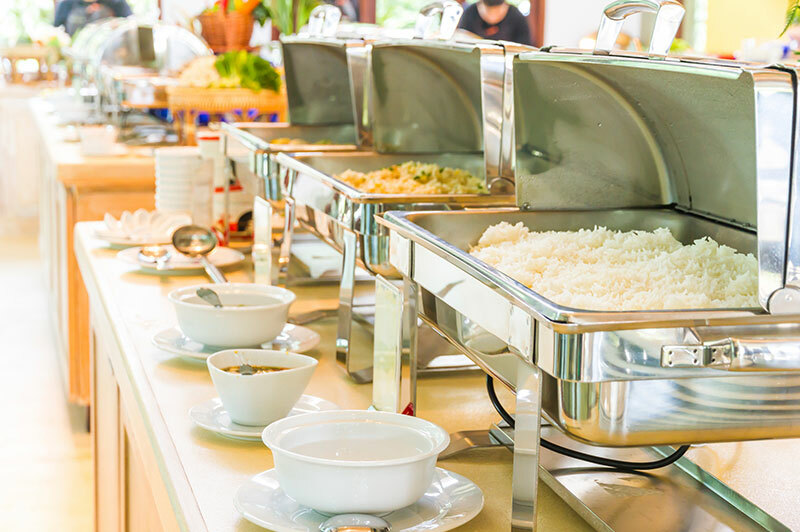 Our talented and professional sales team will work with you to create the perfect customized catering menu from Burning Barrel Cookhouse, and make sure your event goes off without a hitch. Onsite catering services are provided by Burning Barrel Cookhouse, with an additional outdoor BBQ option available for events taking place at the Rooftop Lounge. Our team will work with you to create a customized menu to best suit your needs and tastes. 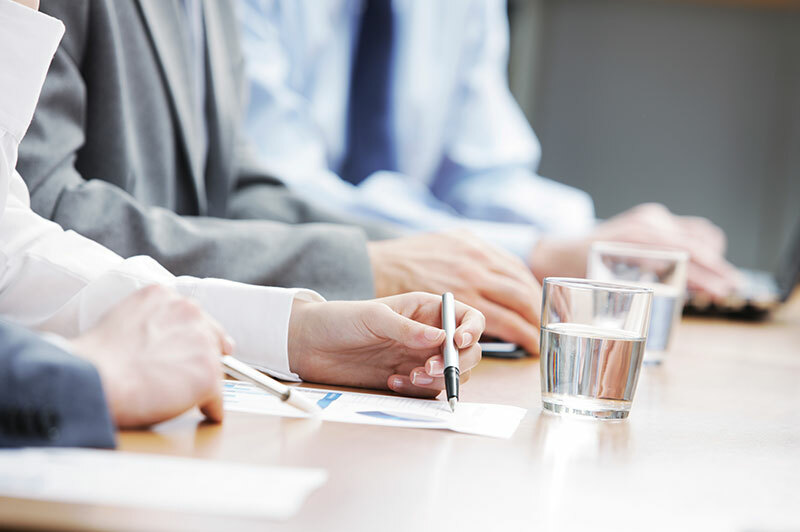 Create a cost-saving customized meeting package to best suit your specific needs, including catering, and venue/technical equipment rentals. These costs may be charged to the hosting company, or per-person. Contact our sales manager Jill Cope by phone at 250-374-0358 or by email for more information.